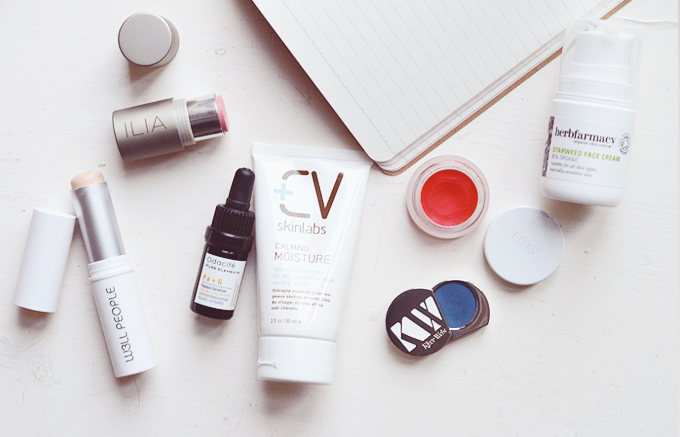 14 Beauty Faves from 2014! Here were are again! I can't believe a whole year has passed since I was posting my last yearly favourites! I swear that was last week?! no?! I was just having a little read through of last years post (here) and quite a lot has changed. I was just a few months into my green switch and still believe I made the right choice, the natural/organic beauty community is awesome. A good few products I mentioned are still favourites that I use such as ILIA, Yarok, RMS & Intelligent Nutrients. It also reminded me how much I absolutely loved the Elemental Herbology Moisture Milk (I named it my favourite product of the year) but when it ran out shortly after I couldn't afford to repurchase. It isn't the absolute purest ingredients wise but it worked so well for my troubled skin that I think I'm going to buy it again (if it's in the sale haha). 1. Kahina Argan Oil - I waxed lyrical about this all year long, it completely balanced my skin in summer and was all I used for moisturiser most days. 3. May Lindstrom The Problem Solver - My baby. The most expensive skincare purchase of the year but worth every penny, I've used it every week since, sometimes twice a week and it works every time to detox, calm and reduce inflammation (read my review on Nouvelle). Will never be without. 4. ED4OLO Vitamin B Cleansing Oil - My most recent addition in this line-up but a great one none-the-less. Removes makeup and emulsifies with ease, no residue left behind and it smells so so so soooo good. 5. TNB Pacific Face Oil - While not technically suited for my skin, the high concentration of linoleic acid rich oils meant my acne prone skin loved this (and still does). It leaves my skin looking healthier and inflammation is reduced when I wake up each morning. 6. Lily Lolo Eyeliner - I am trying hard to think of any other eyeliner I have used this year, it is always this one, it's a good 'un. 7. Mineral Foundation - This year I got really into mineral foundation, the ease, colour match and feel all won me over. 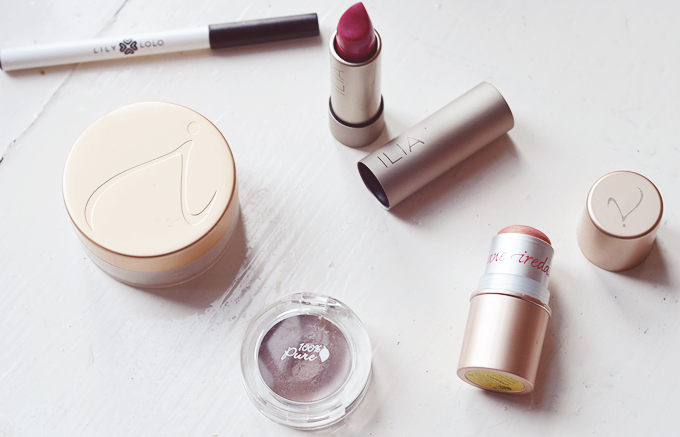 I've been using Jane Iredale lately but I also loved Lily Lolo & W3LL People. 9. 100% Pure Brow Gel - I am the worst eyebrow groomer, tamer, shaper, filler-inner, but I have been using this religiously to help me out a little in that department, it's easy to use with a little angled brush and is a good shade match. 10. Jane Iredale Comfort Highlighter - A rose gold highlighter, well it was only a matter of time. 11. John Masters Organics Deep Scalp Purifying Serum - Around the same time that I had to hand in all of my final degree work my scalp became an irritated mess from stress. I suffered for ages, trying everything but it wasn't until I bought this serum that things took a turn for the better. 12. 100% Pure Burdock & Neem Scalp S&C - At the same time as the serum I started using this shampoo and conditioner duo which became instant favourites from soothing my scalp and making my hair shiny, soft and healthy. 13. Aurelia Firm & Revitalise Dry Body Oil - While 2014 was still not the year I became dedicated in the art of remembering to moisturise my body... I really like this body oil. Ha!! 14. Salt Of The Earth Natural Deodorant - My first foray into natural deodorants this year, this is so good! It really does work. & here's all the rest I couldn't leave out. If this was my 2021 beauty faves then they would all fit in just nicely, it was so hard to decide what made the cut! W3LL People Narcissist Foundation Stick / ILIA Tenderly Blush / Odacite Pa + G Serum / CV Skinlabs Calming Moisture / RMS Beloved Lip2Cheek / Kjaer Weis Blue Wonder Eyeshadow / Herbfarmacy Starweed Face Cream. 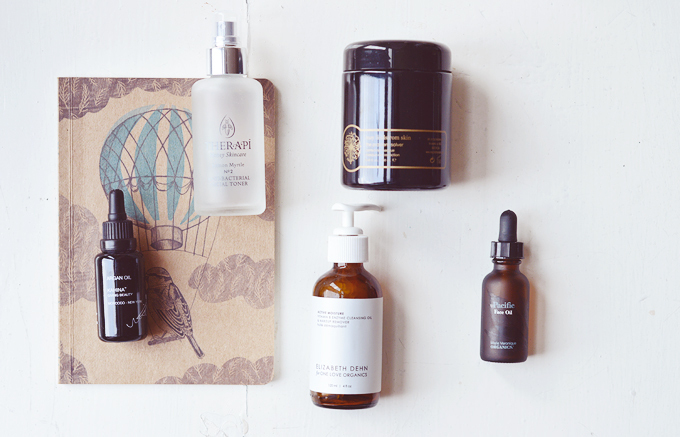 I can't wait to see what 2015 has in store beauty-wise! These are all lovely! 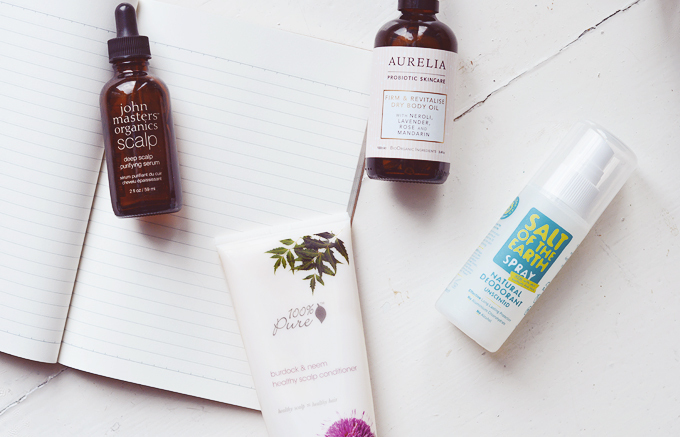 I am a big fan of that cleansing oil too and hope I can try out Lily Lolo, Therapi, and the Aurelia body oil.